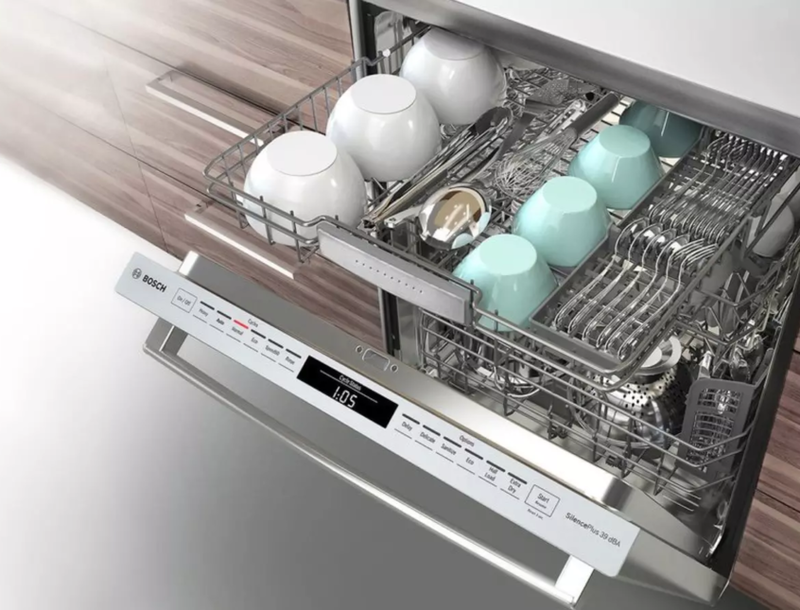 October 20th, BSH Home Appliances announced the recall of dishwashers that they manufactured. This includes Bosch, Thermador, Gaggenau, and Jenn-Air branded appliances. The models and serial numbers affected can be determined here or call the manufacturers listed in the links below. Stainless steel, black, white and custom panel models are in the list. To locate your model and serial numbers, a printed label is affixed to the inside of the dishwasher either on the top of the dishwasher inner door panel or on the side of the dishwasher panel. Write them down in your manual in the space provided if you still have the manuals or use your phone and get a picture of the label. If you determined your dishwasher falls in the model and serial number range, call the manufacturer. A factory trained service person will be scheduled to come out to your home to replace the power cord. If your machine additionally fits certain criteria, the power module may also be replaced. Your technician will make the determination if you need just a cord. If you don’t receive a letter from your dishwasher’s brand, check with the following: Bosch, Thermador, Gaggenau, and Jenn-Air are affected by this recall. Appliance Express is a factory certified, authorized servicer for all of your Jenn-Air appliances. In and out of warranty, we’ll make it work and as good as new.